Yesireebob! You've come to the right store if you are as crazy about background papers as I am! I really like lots of choices for my scrapbooking layouts and to make cards with. When I was putting this kit together, I had as usual, made way too many background papers. 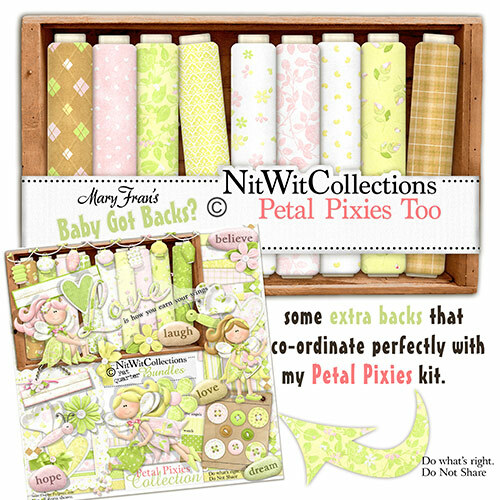 I had a hard time narrowing down the patterns to be included in the kit and figured you may be like me and enjoy tons and tons of backgrounds too... so why not make an add-on of the extras? Hope that works for ya!